Kimi Raikkonen is no more a fan of Formula One simulators than Ferrari president Luca di Montezemolo but the Finn can expect to be spending a lot of time in one now he is back at Maranello. The start of a new year marks both a new phase and a return for the ‘Iceman’, the 2007 world champion who is back in the red overalls of the Italian team he left in 2009 to make way for Fernando Alonso. The 34-year-old has moved from Lotus to team up with Spaniard Alonso in the sport’s only current line-up of champions and has plenty of work to do with the first pre-season test in Jerez now only weeks away. “Kimi will be extremely busy since the beginning of January to work in this strange machine that I don’t like at all, the simulator,” Montezemolo told reporters over a pre-Christmas lunch in Italy last month. Montezemolo has long pushed for a return to in-season track testing, something which has been heavily limited as part of cost-saving measures, rather than relying on virtual technology. Four two-day post-race tests in Europe are allowed this year but they replace an annual three-day young driver test and each team’s current allowance of eight days promotional track time. Teams, who have had to reduce significantly the amount of wind tunnel testing they do before a cost cap is introduced next year, are working flat out on their new cars with the sport going through a rule change revolution. The old 2.4-litre V8 engines have been ditched, with a new and less thirsty 1.6 liter V6 turbocharged power unit with energy recovery systems introduced in its place. All drivers will have to come to terms with the new technology, and different ways of racing, and have already been putting in the laps around familiar circuits in their team simulators to get a taste of how the cars will handle. 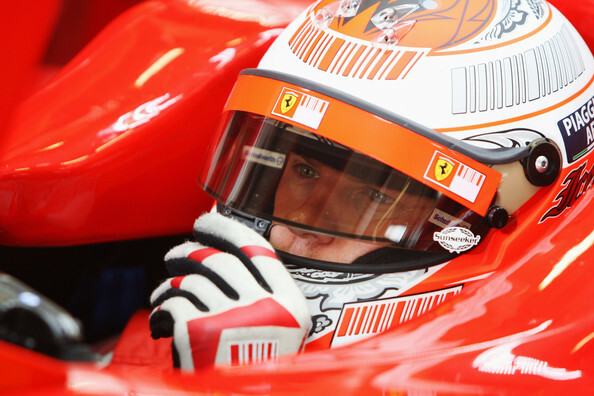 Raikkonen, who underwent back surgery in November and missed the last two races of the 2013 season, is not big on them. This time last year, the Finn was widely quoted as saying he felt he could learn nothing in such a machine. Raikkonen is expected to be first to try out the new car at Jerez, with last year’s runner-up Alonso joining the test later, and their partnership will be closely watched for signs of strain between the two. Montezemolo, who once warned against having “two roosters in the same henhouse”, said he wanted two team players and assured reporters he was not worried. “Putting together Alonso and Raikkonen could be dangerous. But in Formula One…everything is potential danger,” he said. Describing Raikkonen as a “very correct guy” who was fully motivated and concentrated, the Italian said the Finn’s talents would mean Alonso was no longer fighting a lone battle up front against his rivals and would have someone pushing him hard. “(Team principal Stefano) Domenicali has spoken very clearly to both of them,” added Montezemolo. “They have the honor and the responsibility to drive for Ferrari and every driver knows that he has to drive not for himself but for the team. Raikkonen remains Ferrari’s most recent world champion, with the sport’s most successful outfit finishing third overall last season behind champions Red Bull and runners-up Mercedes. Alonso, champion with Renault in 2005 and 2006, has been runner-up to Red Bull’s Sebastian Vettel in three of the last four years.